As you step outside your door, you hear a chainsaw. You look up to the sky and see a man lifted high on a crane wearing a hard hat and goggles and delicately slicing away limbs from the tree. Who is that man, and why is he near deadly electrical wires cutting limbs from a tree? He's an arborist - one who treats trees and shrubs to improve their appearance and health. An arborist is part of the arboriculture profession. This science discipline deals with the cultivation, management, and the study of trees mainly, but shrubs, vines, and other permanent woody plants are included. This professional study trees and other related plants, learning about how they grow and respond to cultural practices and their environment. Arborists use several cultural techniques, such as planting, fertilizing, pest control, pruning, and removal. For example, in an attempt to maintain the healthy stature of a tree, an arborist may try to prevent deterioration by scraping decayed matter from the holes in trees and then filling them with concrete so that the decaying matter will not return. Or, they may use the fertilizing technique, using a hand or machine sprayer, to keep plants thriving and productive. The practice of arboriculture is primarily focused on individual wood plants and trees that are maintained as permanent fixtures of a landscape and amenity purposes. This refers to settings that are typically created for the enjoyment, protection, and benefit of human beings, including gardens, parks, wooded sanctuaries, and other populated settings. Consequently, it is related to but very distinct from agriculture, horticulture, and forestry sciences. Education and training for this field of science typically requires completion of a two-year arboriculture technician program. Courses involve a variety of subjects that provide broad education and training on how to care for and maintain trees and similar plants. The program covers subjects such as diseases of trees and shrubs. Students learn about the various fungal and bacterial diseases of woody plants and how to identify symptoms and render management techniques for reducing disorders. Another essential skill for the arborist to learn is rope technique. Some conduct work that requires climbing a tree, and some do not; however, it is typically part of the curricula. Some universities and organizations offer arboriculture technician internship programs. In this capacity, the student intern has hands-on experience in every area of the practice, including tree-planting, tree health assessment and inventory, lightning strike prevention, cabling, and tree-climbing, to name a few. Internships are far and few between, so you must be diligent in research to find one suitable for you. One must be willing to work odd hours and in all kinds of weather, and the work is physically demanding. This is nothing if you have a genuine interest in the profession. If you are one who loves trimming your home bushes and keeping your trees shaped and healthy, this is a good profession for you to pursue! Do some research and find if a program in this field is offered at one of your local colleges or universities. An Associate degree may prove to be sufficient enough. Some may choose to complete online certificate programs. Drug discovery is the branch of science which deals with the design and discovery of drugs. The design of novel drugs is concerned with the various fields like medicine, pharmacology and biotechnology. 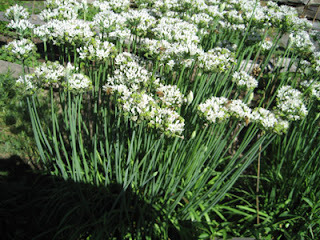 In the earlier days, discovery of drugs was done by recognizing an ingredient in the traditional medicine. The drug discovery in those days was accidentally made. Today, the discovery of drugs was done by studying about the disease and the infection caused at a physiological and molecular level. 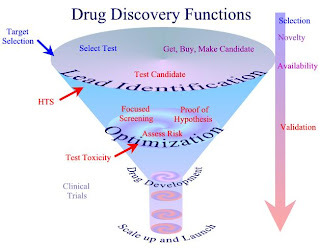 Drug discovery is a process which carries out primarily the recognition of candidates for the drugs, their synthesis, characterizing them, screening them and conducting in Vitro studies to learn about its efficacy. If the chemical compound has passed the tests in all these steps, it will go for developing into a future drug. This drug that is developed will be later used for clinical trials. There are major breakthroughs that have occurred in the recent past regarding the improvement in the technology used for drug discovery. Though the technology supports this process effectively now, the drug discovery was observed as an expensive, lengthy and inefficient process. The research done for the purpose of the discovery of a new chemical entity spent around US$1.8 billion. For the drug discovery to go smoothly, it is necessary to know about the various drug targets or disease causing defective proteins. To understand about the targets properly in every disease, it would be convenient if the entire knowledge about the human genome is exposed. As the project on human genome has revealed about every gene and its encoding details, it has become easy for the scientists to remove the barriers in identifying the therapeutic targets. Difficulty in identification of targets has been a problem since some time for initiating the drug discovery process. Human genome project has diminished that limitation. There are new targets and established targets. Choosing new targets might be difficult for the drug discovery cycle as they do not have the known history and pathway in the biochemical aspect. The genes involved in their synthesis will not be clear. In the case of established targets, it is easy for designing the drug based on it, as the target is already established with enough information. The designing of drugs can be done by In-Silico methods which take very less time for generation of lead molecule. The lead molecule that is designed can be sent later to the synthesis and it can be tested for its target inhibiting ability. This will prove the ability of the drug to even restrict the disease. The lead molecule can be used for screening purpose by using a technique called "High-throughput screening" or popularly called as HTS. In this process of HTS, the various chemicals which are similar to the designed lead molecule can be used for matching with the inhibiting properties against the desired target. This is done by using them in in-vitro studies. The chemicals which are found to be having target inhibition properties will be screened. This compound can be made to undergo pharmacophore and structure-activity relationship studies. If the compound shows enhanced activity against the desired target, decreased activity against the unrelated target, and possess ADME properties it can be selected for further tests. The quality of the compound can be tested using Lipinski's rule of five. Apart from high-throughput screening virtual throughput screening is also done to bring the leads very fast into the picture. Lead generation is also done using combinatorial chemistry. For this procedure many of the natural products from the plants and animals can be used for development of drugs against bacterial infections. Ultimately the discovered drug will be synthesized and sent for clinical trials to be released into the market successfully. Opportunities for nuclear medicine technologists are increasing due to the growing use of nuclear medicine in diagnostic tests and continued research into cancer treatment involving radiation therapy. This expansion creates career opportunities for students who are pursuing or who have a science degree. If you are interested in a health science that involves nuclear medicine, a nuclear medicine technologist may be your ideal profession. 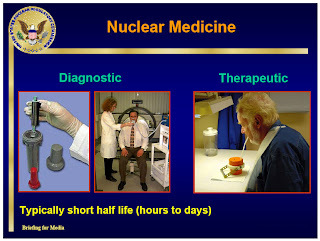 Nuclear medicine is a combination of medicine, physics, chemistry, mathematics, computer technology, and the use of radioactivity to diagnose and treat diseases. It is remarkable because it provides information on both the structure and function of nearly every major body organ. Unlike an x-ray, this type of medicine has the ability to distinguish and calculate the function of organs or body parts. For example, small amounts of radioactive material may be introduced and traced through certain organs of the patient's body. Nuclear medicine allows the doctor to get a picture of a specific area of the body in order to help in the treatment of such diseases as thyroid cancer. These procedures are safe. They involve little or no patient discomfort and do not require the use of anesthesia. The nuclear medicine technologist has many duties, besides assisting the physician with day-to-day activities. The technologist is responsible for preparing and administering the radioactive chemical compound. Using sophisticated radiation-detecting instruments, the he or she performs the patient's imaging procedures. These techs work in the laboratory analyzing biologic specimens. They also collect images, data analysis, and patient information for diagnostic interpretation. Patient care is a big responsibility of the Technologist. The tech works closely with the patient during the imaging procedure and is the patient's key contact throughout the visit. One must have a compassionate and caring disposition due to the need to gain patient confidentiality regarding obtaining pertinent history, describing the procedure, and answering any questions patients may have. The future of nuclear medicine has never been brighter, as it continues to be at the forefront of modern clinical medicine and technological development. Technologists work in a wide variety of clinical settings such as outpatient imaging facilities, community hospitals, university-teaching hospitals, public health institutions, and government and private research institutes. Preparation to become a technologist in this field requires special training in a four-year college or in a specialized school just for this profession. Prerequisites depend on the type of program offered, but typically include a background in science and mathematics. On-the-job training is also necessary. Also, upon completion of a nuclear medicine program, some states and employers require certification by a national certifying agency. The field of nuclear medicine technology continues to be on the rise due to the extensive and increasing use of its practices in testing procedures and cancer treatments. Students earning science degrees, who are undecided as to what career to pursue, should consider the tremendous opportunities available in this field. One may be able to pursue this field through an online education. Arrange a visit with one of the technologists at your local hospital to learn more about the profession.